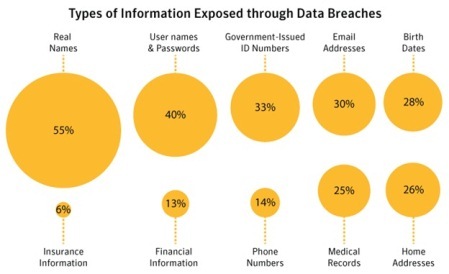 Infographic: What gets exposed in a data breach? It seems we can’t go more than a week or two these days without reaching about another data breach, from credit card details stored with retailers to private personal information residing in government databases. Other highlights from November’s report: spam and malicious web sites were up, while phishing and malware were down. And spammers are using Christmas as a hook, so be wary if jolly-looking e-mails. Unless it’s from your mother.